Welcome back to Ticketmaster Insiders: a new Q&A series showcasing the magic of live events from behind the scenes. 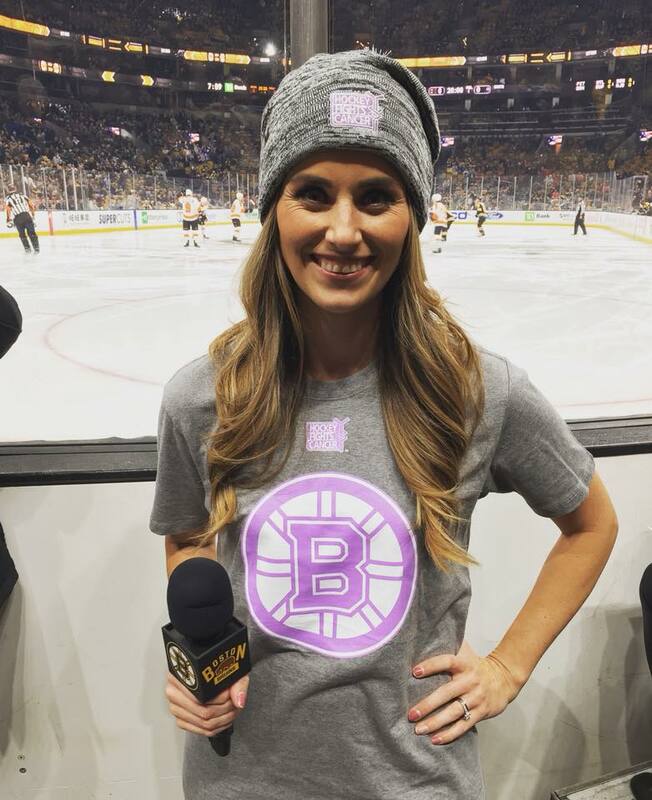 Michaela Johnson keeps Boston Bruins games moving. Since the 2016-’17 season, she’s been the Arena Host for the Black and Gold, interviewing players after wins and emceeing the entertainment that goes up on the jumbotron during breaks in the action on the ice. 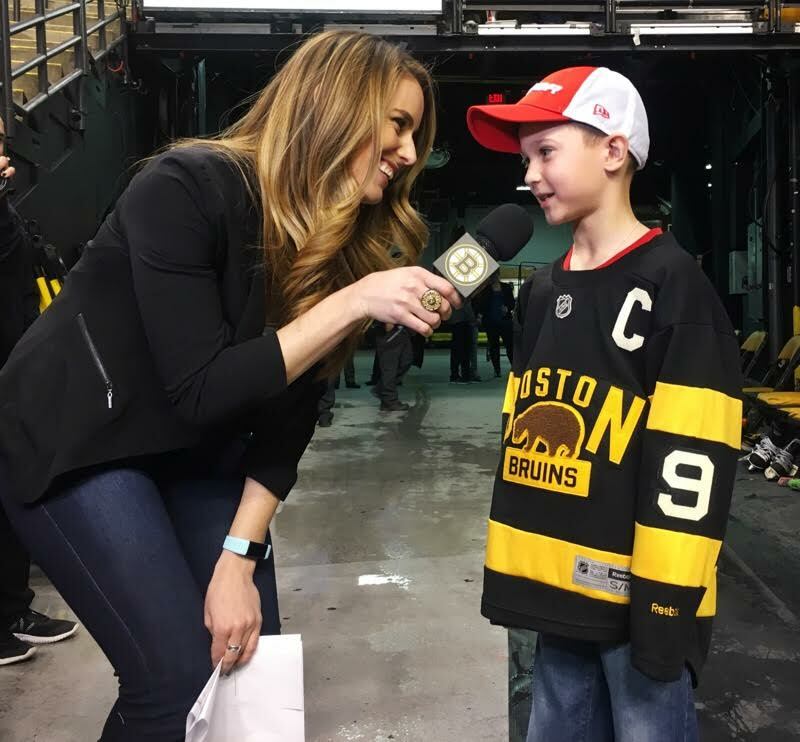 A lifelong sports fan who attended Providence Bruins games with her family as a kid, Johnson possesses knowledge about and passion for the team that run deep, and she makes sure every Bruins fan feels at home when visiting TD Garden. We talked to her about her career and what drives her to excel. TM: Can you tell us a little bit about your background as a person, and as a sports fan? MJ: I’m originally from Rhode Island. I have three sisters, so I’ve only grown up in [an atmosphere of] chaos, and a lot of fun and excitement. We grew up playing sports. I played sports all through high school, and then I played basketball all through college at Bridgewater State in Massachusetts, where I studied communication. TM: Was that where you got the idea that you wanted to go into sports media in particular? MJ: I love telling other people’s stories, so sports broadcasting made a lot of sense. I always wanted to have sports in my life somehow. I announced a lot of sporting events at my college: football games, baseball games, men’s and women’s lacrosse, and soccer. Then, I volunteered at the local sports network, through cable access, to get my feet wet in reporting—doing some stories, reporting on certain games. That gave me a foot in the door. TM: How did you get connected with the NHL specifically? Of course, I jumped at the chance. I love hockey. I grew up going to a ton of Providence Bruins games with my dad and my sisters. We would paint our faces and try and get on the jumbotron. I always thought it was really funny how it came full circle; now I’m the person helping people get on the jumbotron and have their moment. TM: In sports, there are no typical evenings. What are the basic contours of your game day like? MJ: What I do could not be possible without a team of people. That’s what I love about [this job] so much: I love working with a team. I arrive at the arena two and a half hours prior to game time. I sit down with my boss and we go over the rundown of the game — what contests are we doing from a marketing perspective, an advertising perspective, what names do I need to mention. Once gametime hits it’s crazy. I literally run around that building because we’re trying to feature as many people as we can. Which I love… but sometimes it requires sprinting up seven flights of stairs in a matter of 45 seconds. TM: What are some of the high points of your career? MJ: The player interaction has been great. Being able to sit on the bench post-game after a Bruins win and interview Patrice Bergeron or Zdeno Chára — someone who I watched on TV for so many years. Our players are so nice. My interaction with them is limited — it’s either after a Bruins win or during an interview at an event. But they are so genuine, and such nice, down-to-earth guys, that I feel very comfortable when I do need to approach them. TM: Who are some of your heroes, or people that you admire and look to as role models? MJ: The typical answer for a lot of people is that you look up to your parents, and I really do. They provided me with a really great work ethic and attitude that I’ve carried with me into this job. But in terms of my career, it was hard growing up. There weren’t a lot of women reporters when I was a kid. There wasn’t one person who made me say, “Wow, I want to be like her.” That said, Doris Burke is fantastic. She’s been an NBA reporter for years, and I admire her — especially [since] she’s a Providence College alum, so I feel like she has that local tie. I also look to other entertainers who have a game-show host [vibe] — the Tom Bergerons of the world. They have charisma and this almost effortless quality where you can tell whatever they’re doing, they’re having fun. That’s what I try and do when I’m on the mic. I especially love working with the kids and young fans. I want them to be excited about the Bruins, the NHL, and the whole experience. I want everyone, regardless of a win or loss, to go home thinking that they had a great time. TM: What else keeps you inspired for your job and life in general? MJ: I’m very, very driven, so I love taking on more things, I love challenging myself. I never settle. I like to be confident about what I do, but after a game I’ll say to myself, “I want to keep striving to get better and better.” Now that more arenas are having these hosts be part of the experience, I like seeing what’s out there and seeing what works. I feel like we’re all working off each other, or at least I hope so. I understand there’s competition in this business, but I also feel we can learn a lot from one another. The important thing, though, is getting inspiration from others while not losing track of who I am in the process. Because I have to tell myself, “They wanted me to do this—they didn’t want someone else. I’m providing me as part of it, my personality and my experience.” I want to make sure I am staying true to that.